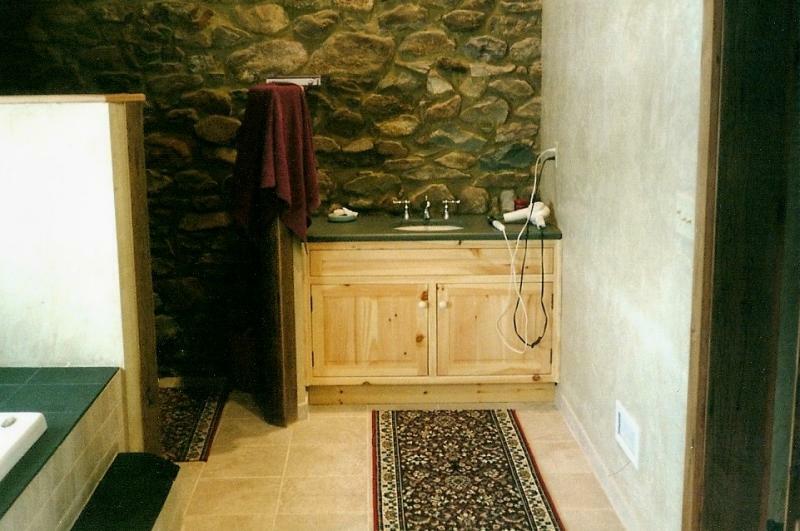 Let us complete your bathroom with a vanity to store your personal needs. Finish the room with a matching linen cabinet, medicine cabinet, or mirror frame. 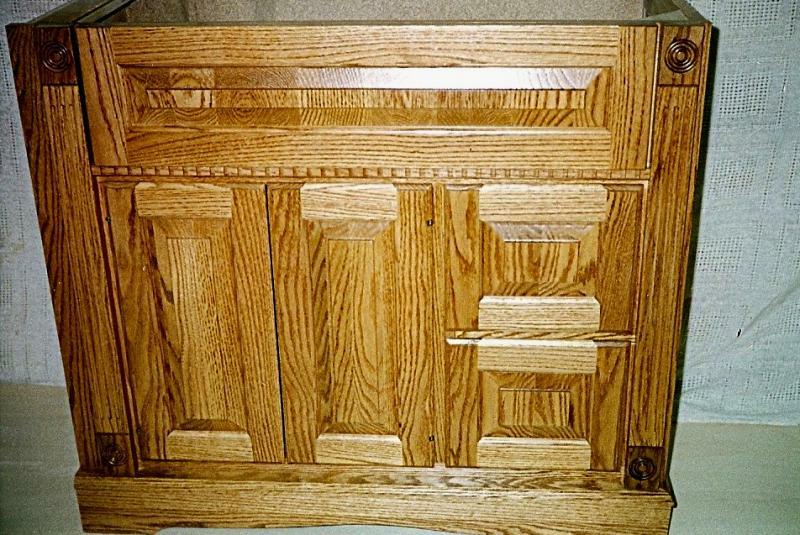 Here we have some fluting and rosette detail work to finish these oak cabinets. We made 2 laundry room cabinets which fit above the washer & dryer in Chalfont, PA. Pull out clothes rods were included for air drying clothes. Any species of wood can be used in the bathroom and finished to the color that fits your decor. This vanity design includes a half post detail with these cherry cabinets. 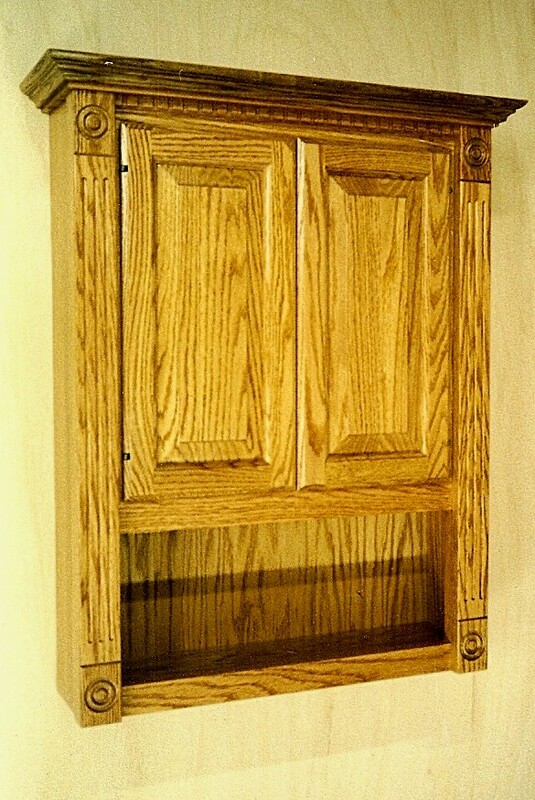 Below is a tri-mirror oak medicine cabinet which replaced a metal contractor grade cabinet. The oak vanity includes flip-out trays, 2 drawers, cabinet & a Karran sink. A knotty pine cabinet fits right in this old farm house in Saucon Valley. White vanity with bottom drawer, cabinet above toilet and a single door medicine cabinet created a new look for this bathroom.